Microsoft has just appended the contents of their Surface RT mini site to reflect the actual storage space available to users. This move comes in light of the lawsuit that was recently slapped on Microsoft by Andrew Sokolowski, a Los Angeles based lawyer. 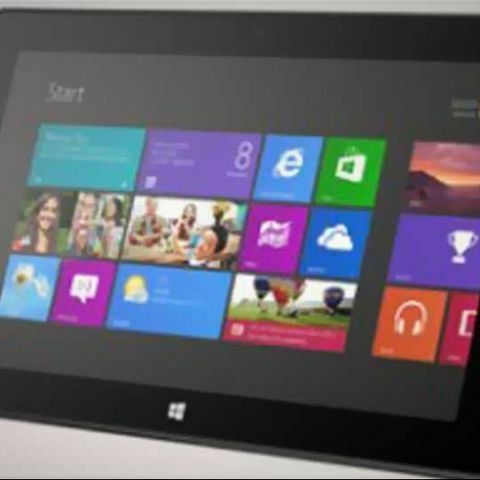 The lawsuit claimed that Microsoft was misleading their customers by advertising the Surface RT tablets as having 32GB and 64GB of storage, when the actual user available storage was far less. In the case of the 32GB variant, only 16GB was available to the user, while the 64GB version leaves only about 45GB for the user to play around with. Sokolowski claimed that getting only half the advertised storage space was false-advertising on Microsoft’s part. At the time, Microsoft offered a statement saying it believes the suit is without merit. “Customers understand the operating system and pre-installed applications reside on the device’s internal storage thereby reducing the total free space.” Microsoft has now added a link to the storage breakdown for both the Surface RT tablets at the bottom of the page in the storage disclaimer section. The Surface RT has had “modest” sales numbers so far. When a giant like Microsoft uses the word “modest” it most definitely means that the tablet hasn’t been able to meet the expectations that were set for it. The few reasons we can think of such low numbers is one, of course the storage debacle. The other could be the inability to run legacy apps on the RT along with the fact that only apps bought from the Store can be run on it.